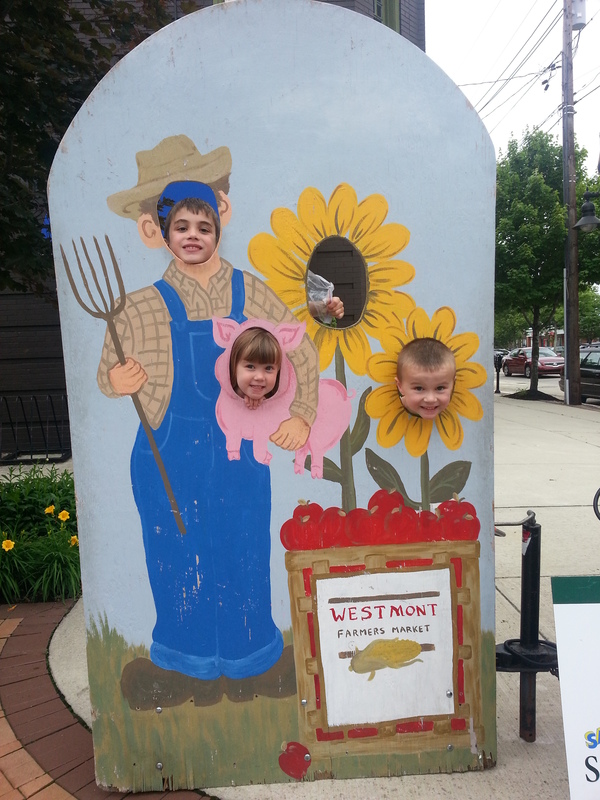 Yesterday I decided to take the kids, after school, to the farmers’ market held by the next town over. It’s every Wednesday from 4-7 pm but I had never been to it. I was making spaghetti for dinner and I wanted to get some Italian bread. It was a nice time. We ended up spending $8.50 for homemade ice cream and cupcakes, $6 for a package of tomato bread from the local Italian specialty shop’s booth (mmm, so good), and $2 on a soft pretzel (rip-off). I rate the trip a 5 for frugality, a 7 for green living, and a 10 for support of downtown/local businesses. (Disclaimer: I have no method to my rating system.) I think the kids would rate it a 10, and not just for the unexpected treats. A flower vendor gave my daughter a beautiful white peony. A guy was playing guitar/harmonica and there were plenty of tables to sit at and other kids running around. There were about 20 vendors, maybe more. It’s a nice alternative to the Saturday morning farmers’ market in my own town, which is bigger, way more crowded, and kind of frenzied. Good point — it can get brutally hot at our Saturday morning market!